In the first blog we introduced the concept of the importance of colour in branding and explored the Pantone Matching System. In this the 2nd part of this trilogy we introduce the next colour management system. 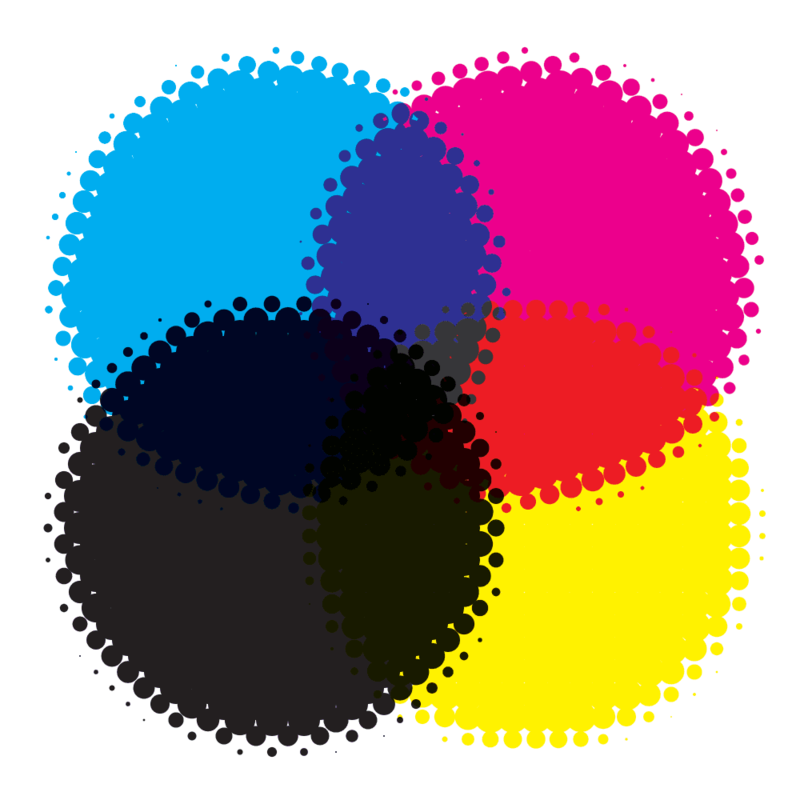 The CMYK SYSTEM – otherwise referred to as the full colour or 4 colour process system. It is based on blending different percentages of the 4 primary colours (Cyan (blue), Magenta (red), Yellow and Key (Black) to create colours. Those percentages are then represented by tiny printed dots of colour which are seen by the human eye as a solid colour. If you look at this kind of printing under a magnifying glass you can see the dots! Ask your preferred printer to show this to you – I’m sure they’d be delighted that you are taking an interest! JUSTSO’s corporate orange, for example, has a CMYK value of C:0 M:65 Y:100 K:0, so it has zero Cyan in the blend, 65% of Magenta, 100% of Yellow and zero Black. The CMYK system is called a subtractive colour method which means that you begin with white and end with black- as you add colour, the result gets darker and darker ( ie you are subtracting white). This system is used when reproducing logos and images with multiple colours, shades, tones and for photographic reproduction. Your supplier should always be able to advise what system is best for which products, taking into consideration the medium, the design, the required result and the budget.